Whether you’re wrapped up in a big blanket to ward off the winter chill or spraying yourself down with cool water to stave off summer’s heat, chances are you also use some kind of external climate control through much of the year. Heating and air conditioning use an astonishing amount of energy – and that’s a big problem for the environment. A group of MIT students may just change the world by asking a simple question: why not cool our bodies rather than the air around our bodies? 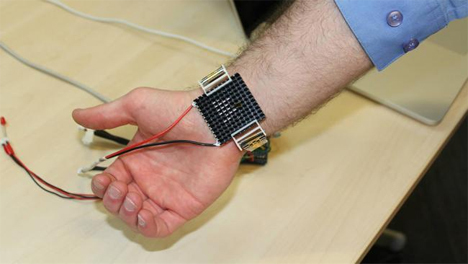 They plan to do this with a device they call Wristify, a bracelet that regulates body temperature as it rests on the skin. A member of the team was inspired by a personal situation that will resonate with just about everyone: he always felt hot while his mother always felt cold. He figured that there must be a way to keep them both happy while in the same room. 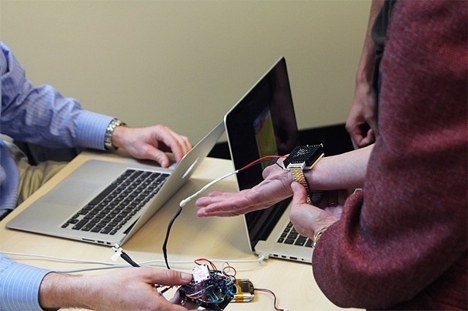 Wristify works by exposing the wearer’s skin to pulses of hot or cold – whichever is needed at the time. Surprisingly, a lot of the device’s effect has to do with perception. The group explains that diving into a pool of cold water feels shocking at first, but given a bit of time the body adjusts to the temperature and it feels normal. Similarly, by exposing parts of the body to bursts of heat or cold, that initial blast tricks the body into thinking that it is warmer or cooler than before. In trials with friends and family, the concept has been shown to work. The brain’s perception of the body’s temperature – not the actual ambient temperature – is what really makes the wearer feel more comfortable in their environment. 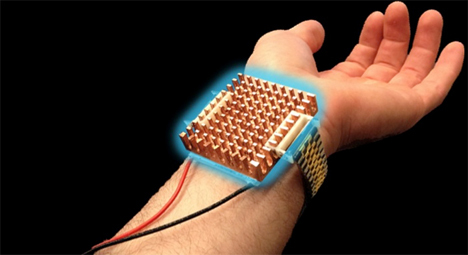 The current prototype is exceptionally affordable, using only around $50 in materials. But the Wristify is far from becoming commercially available thanks to the fact that a great deal more research needs to be conducted. If successful, heating and cooling bodies rather than entire buildings could be a real game changer in the area of energy conservation. See more in Energy & Power or under Science. May, 2014.